The Gastropod fossil site in Krabi, is apparently the only coastal shell fossil site in the world and one of only three shell cemeteries found worldwide, the other two sites are located in Chicago in the USA and the other is in Japan. 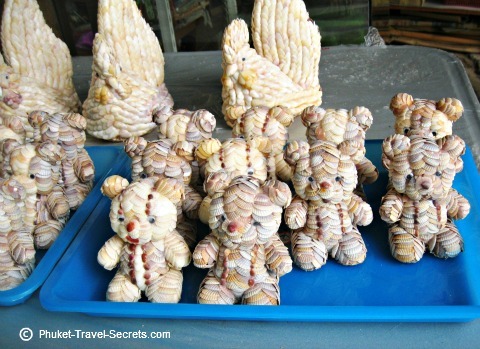 During our travels in Krabi, we thought we would take some time to explore the Gastropod Fossil Site which is also known as Susaan Hoi, the Shell Cemetery and Shell Fossil Beach. 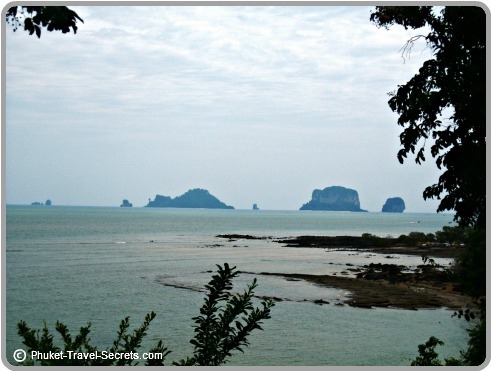 Before we arrived in Krabi we had read a few reviews on Trip Advisor about the Fossil Beach Cemetery, many of the reviews we read said that there wasn’t a lot to see unless you have an interest in fossils and shells. As we had a motorbike to get around and a bit of spare time during our travels we thought we would go for a ride and see for ourselves. 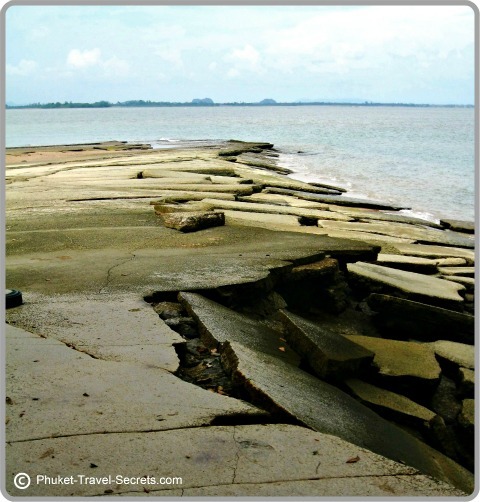 The Gastropod Fossil cemetery can be found along the shoreline and headland at Ban Laem Pho, just a short distance from Ao Nang and around 17 km from Krabi Town. Ban Laem Pho is a very scenic area, with wonderful views of Krabi’s offshore islands, including the distinctive Chicken Island, Tup and Poda Islands, shown in the above photo. The site features large slabs of rock which on first glance look just like large chunks of cement slabs lying on the water’s edge. However embedded within these rocks are fossilized shells that are said to date back somewhere between 40 million years to over 75 million years. Certain parts of the site where roped off the day we went and we were unable to go beyond these areas. You have to take your shoes off before walking on the gastropod beds as shoes may cause damage to the shell structures. We found our visit to the Gastropod Fossil Site to be interesting; however I must admit this attraction is not for everyone. If you do decide to spend a bit of time at the fossil cemetery, before you go down onto the beach to see the gastropod fossils, I would recommend that you first spend some time in the Visitors Information Centre, where you will find some information about the area so you have some idea of what you are looking at. The best time to see the Gastropod fossil cemetery is on low tide, if you go on high tide you won’t be able to see much as they will be under water. After you have explored the fossil site, make your way up the stairs and have a wander through the shops all of which sell a range of goods, which are naturally all made from shells. 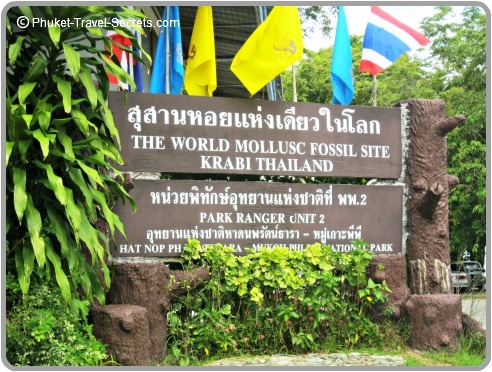 The shell fossil cemetery is a National Heritage that lies within the Hat Nopparat Thara- Mu Ko Phi Phi National Park and as a result you will have to pay an entrance fee.